A ponzi scheme is merely a name given to a scam, usually targeting investors and the financial sector with the sole purpose of convincing investors to part with their money usually into fraudulent schemes for the purpose of making unrealistic returns. 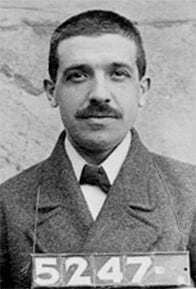 The name "ponzi" comes from the man who started it called; Charles Ponzi although it is said that the scheme existed much before his time. While Bernie Madoff is the name that comes to mind when one talks about a Ponzi scheme, it was actually Charles Ponzi who, in 1920 ran an elaborate scheme dealing with International Reply Coupon (IRC), which is still available to this day. The IRC was a self-addressed stamped envelope which can be presented at any postal office anywhere in the world to cover the cost of postage overseas. This means, that you could buy an IRC in the U.S. and send it to you friend in Australia, who could then use the IRC to send an international mail back to the U.S. What was central to this scheme of buying IRC’s overseas and mailing them to the U.S. was that postage was cheaper in some countries, which led Charles Ponzi to take advantage of the arbitrage. He would have some of his friends purchase IRC’s in overseas countries (at a cheaper price, relative to the U.S. dollar) and he would then receive them in the U.S. and sell it back to the postal service for stamps. Charles Ponzi would then sell these stamps and make a 400% profit or so he claimed. Ponzi initially made some decent returns on his scheme Ponzi managed to convert $1000 into $15,000 within the first month and this opened the doors to taking in investments from friends before growing into an elaborate bubble. Early investors were paid off and Ponzi started to market his investment idea saying that he could get a 40% return in 90 days, compared to the prevailing 5% return given by the banks. This eventually led to Ponzi getting close to $8 million at one point in his scheme. Interestingly though, investigations later revealed that Ponzi had purchased just $30 worth of IRC’s. For those interested on Charles Ponzi and the scheme he ran, this research paper makes for a very interesting weekend read. In order to avoid a Ponzi scheme, the first thing is to know what a ponzi scheme is and how it works. There are also some tell tale signs that one should watch out for in order to avoid falling for a ponzi scheme. Here are five ways to avoid being a victim of a ponzi scheme. Does this make social security, a Ponzi scheme? A ponzi scheme is usually a long play meaning that contrary to what one might hear about a ponzi scheme going bust, it takes a lot of time to get all the elements in play, similar to a con job. In order for a ponzi scheme to be successful, the hustler must first convince a few investors to place money in their investment idea or scheme. This first step is very crucial in determining how big the ponzi scheme can get. Investors are usually drawn to such scheme, lured by the promise of making a quick buck. Thus, greed is often associated with ponzi schemes and in many cases has to do with an investment idea that is fraudulent or seeks to exploit a loophole that will sooner or later be plugged. Once the investors are shown or convinced of the returns they can make, they part with their money. At this stage, the ponzi scheme must work as it needs some credibility early on. After the investors get back their money with the promised returns and within the specified amount of time, it draws them back in and this time bringing a few more other investors into the fold as well. The general narrative at the time being that the more funds they have, the bigger the share of returns the investors will get. Ponzi schemes are also referred to as Rob Peter, pay Paul which uses new investors money to pay off old investors until the ponzi scheme collapses on itself. A ponzi scheme might look similar to a pyramid scheme, where the fraudsters use the money from new investors to keep paying off the old investors. 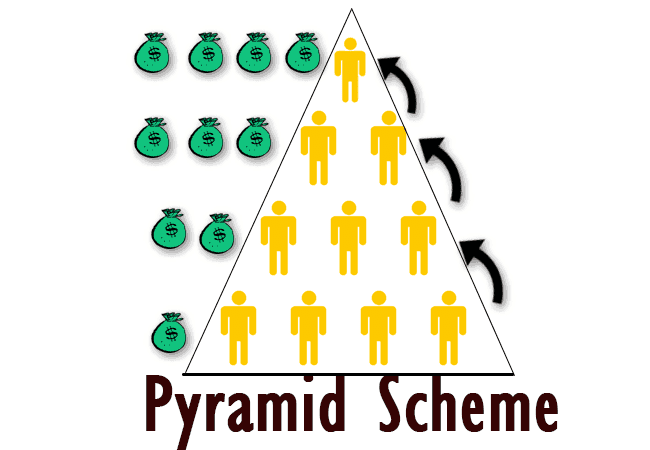 The pyramid scheme starts to fall apart when it can no longer attract new investors and thus new money into the scheme. The main difference between a pyramid and a ponzi scheme is that in a ponzi scheme, the investors are lured into believing that they are getting returns on their investment, whereas in a pyramid scheme, investors are aware that the only way to make money is by recruiting new members. When one thinks of a ponzi scheme, a common factor among all the schemes would be unrealistic returns. However, this classification puts the normal investment schemes as a ponzi scheme as well. Therefore, it is not uncommon to find an investment idea or a fund that claims of big returns, relative to the market returns. Investors who are too cautious could end up losing out on a lucrative investment idea. Probably, the best way to understand when an investment scheme turns into a ponzi scheme is to look at past cases. One of the names that come to mind is of course Bernard Madoff, or Bernie Madoff. 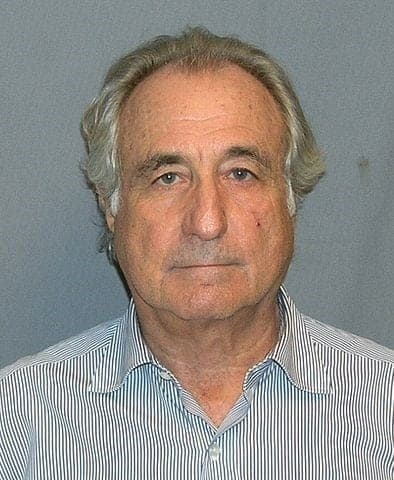 Bernie Madoff started his own investment advisory firm. He started his career as a penny stock picker and was a founder and former chairman of the Nasdaq stock exchange. It wasn't for his coming clean by telling his sons who later alerted the FBI, the scheme could have continued to play on. It was around December of 2008, in the height of the financial crisis that Madoff announced that he could no longer honor his investors’ requests for payments as some of his European clients demanded money. Madoff’s attempts to get funding failed which eventually led to him disclosing his ponzi scheme. Madoff was eventually convicted and sentenced to 150 years in prison. The setting for Madoff's Ponzi scheme was ideal considering the fact that he was a well known name in the investing and financial circles. While everything was going well for Madoff, it was when clients started to request a total of $7 billion during the crisis of 2008 which led to his downfall. At that time, Madoff reportedly had just under $300 million. Madoff's connections made it easy for him to fly under the radar of the SEC. Madoff first started with a few investors who became his core. They agreed to his investment scheme of getting them 10 - 12% return per annum. This was more than enough to blind the investors from asking any further questions. It was not just investors who put their money with Madoff that suffered, but also a larger stream of the financial world, who apparently invested in an unrelated fund which streamed portion of the investment money into Madoff's scheme. While one might feel intimidated by the sheer numbers, the Madoff Ponzi scheme was very simple. 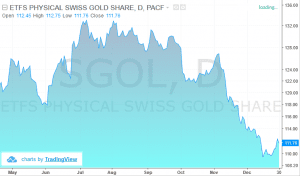 The investment strategy was to buy blue chip stocks and purchasing options contracts or hedge the positions in futures. In fact Madoff himself was quoted as telling the Wall Street Journal in an interview that he thought it was surprising that matching the S&P over 10 years was something outstanding, especially when considering that many of the money managers were trailing the S&P500's returns. Investigators have tried since to replicate Madoff's model of investment but no one has been able to come up with similar results, leading to a lot of speculation with some reports suggesting that Madoff was front-running the orders of his firm's brokerage clients. Whatever the methods may be the fact remains that the Bernie Madoff Ponzi scheme was based on a very simple investment idea and nothing out of the ordinary. 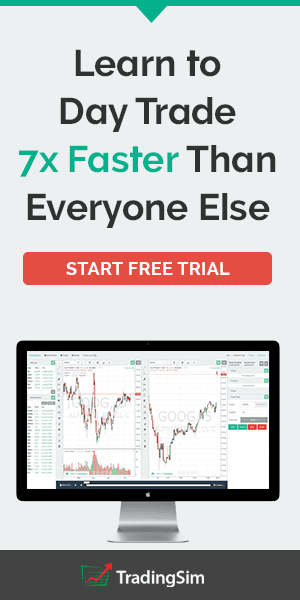 Was it possible to spot this Ponzi scheme before hand? Probably, if investors dug deeper into Madoff’s investments and his investing style. No matter how an investment is marketed as, there are some tell-tale signs. The first is of course the promise of high returns. Broadly speaking, higher the returns, more risky the investment is. However, Ponzi schemes tend to focus mostly on the returns and try to hide or brush aside the risks. This is one of the key things that leads many investors to fall for a Ponzi scheme. The lure of high returns simply blinds all logic. This can be even more powerful as, in many cases you are introduced to a Ponzi scheme by a family member, relative or a friend, someone who is close to you and someone you trust fairly well. Most Ponzi schemes tend to navigate the grey area of regulation and at times try to avoid this as much as possible. Being registered with the financial watchdog is a must. Although there is no guarantee that a firm registered with the financial commission won't engage in a Ponzi scheme, the chances are much less. 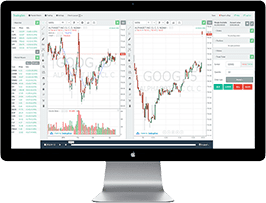 Ponzi schemes also attribute their success to being "secretive" with their trading strategies or if they do make a mention of it, it is usually quite complex. Avoiding investment schemes that you do not understand is the simplest way to avoid getting conned. One of the main elements of a Ponzi scheme is that it needs a constant flow of new investors to keep the scheme up and running. Which begs the question as to whether the U.S. Social Security system is a Ponzi scheme in itself? Some say yes if looked at on the basis that the when you pay into the social security trust fund, the money isn't simply held there but is used to pay out benefits to others such as retirees and the current payers into the system hope to get their retirement benefits with new workers entering the system. The social security system is often called a Ponzi scheme by its critics because the ones who got in early tend to enjoy the benefits. Workers currently paying into the social security pay higher payroll taxes, while those at the receiving end did not receive the same amount in benefits. There is also a wide spread debate that with the Baby Boomer generation due for retirement in 2030, the social security system will have to dip into the general fund to support the benefits for the retired baby boomers, or will require new taxes or end up creating a budget deficit. 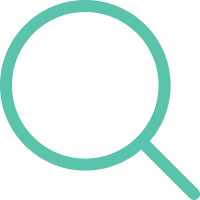 Nothing beats doing a thorough research into any potential investment idea or a scheme, especially in this day and age where just about every piece of information can be accessed with a few clicks and a search engine. 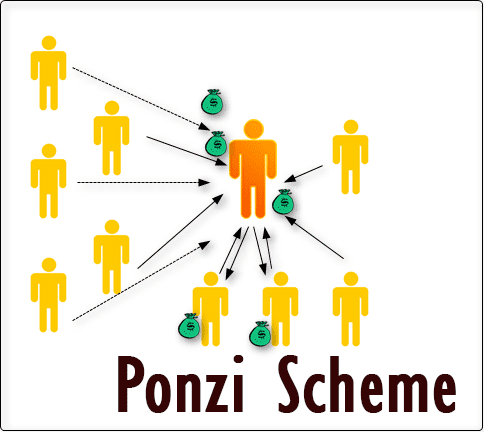 Ponzi schemes work on the basis of providing you big returns. This is a good place to start as the returns promised can be relative. For example, in a strong bull market where the S&P500 has a return of 12%, an investment idea or a scheme might turn heads when it promises double the amount. 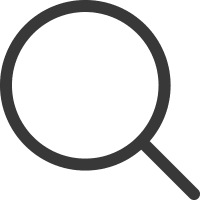 It may or may not be true, so researching into various aspects such as the top hedge funds of the previous year and the returns they generated can help you to paint a rough picture. The next step is to research into the money manager and the principles behind the firm running this investment scheme. The term the devil is in the details might seem clichéd but it can definitely help you to avoid making huge mistakes. Diversification is the key to a good investment plan and for obvious reasons and it also helps to minimize your risks. The key point about Ponzi scheme is that there are no straight forward rules and in most cases, it is all about subjectivity that could make the same investment idea being lauded by one investor and frowned upon by another. Secondly, as illustrated with the Bernie Madoff Ponzi scheme, there is no telling who could be behind the elaborate scheme. In such cases, the best option is to diversify one’s portfolio so that the risks are minimized. In conclusion, the main point to bear in mind is that a Ponzi scheme might look obvious only in hindsight and things are easier said than done. It takes a lot more effort especially when your best friend comes to you showing off his new car telling you about the returns he made from this fancy new fund he invested in. The best way to protect oneself against a Ponzi scheme or any investment idea or a strategy is to ask questions and spend time on the details. As they say, if it is too good to be true, it probably isn’t!